Buying a home with a mortgage loan? Be careful you obey these ten commandments for a smooth closing. #1 – When buying a home Thou shalt not change jobs, become self-employed or quit your job. 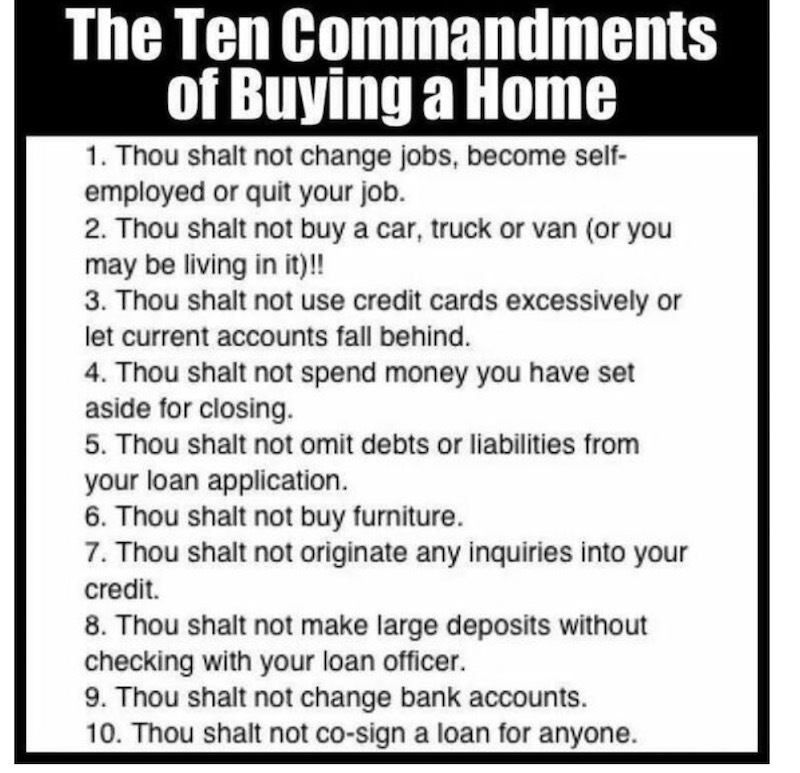 #2- Thou shalt not buy a car, truck or van (or you may be living in it)!! #3 – Thou shalt not use credit cards excessively or let current accounts fall behind. #4 – Thou shalt not spend money you have set aside for closing. #5 – Thou shalt not omit debts or liabilities from your loan application. #6 – Thou shalt not buy furniture. #7 – Thou shalt not originate any inquiries into your credit. #8 – Thou shalt not make large deposits without checking with your loan officer. #9 – Thou shalt not change bank accounts. 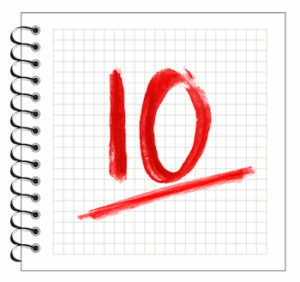 #10 – Thou shalt not co-sign a loan for anyone.